The McDonough Hospitality & Tourism Board Inc. promotes and supports sustainable tourism — informing and managing visitors through cooperation with the City of McDonough, the media, and partners in the tourism Industry. 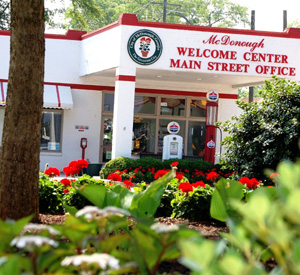 The McDonough Hospitality & Tourism Board additionally facilitates the movement of ‘tourists’ around our central axis, the historic McDonough Square. 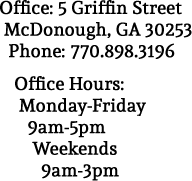 The McDonough Hospitality & Tourism Board consists of members who live, work and play in McDonough and Henry County. Today’s global tourists have a wide range of budgets and tastes. 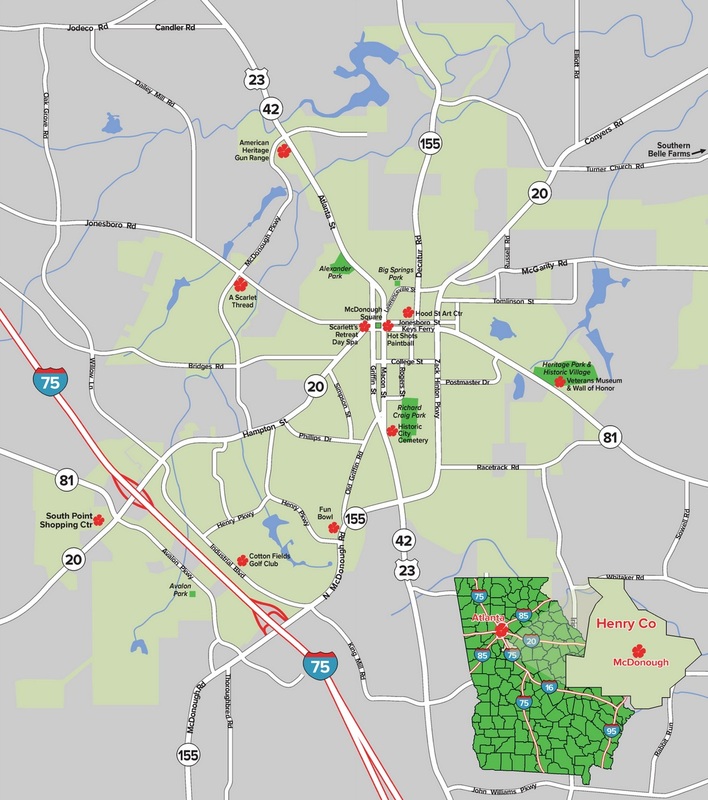 The McDonough Hospitality & Tourism board helps to facilitate the global tourist with the wide variety of resorts and hotels that have developed to cater to them, which helps to further the common business interests of commercial and non-commercial enterprises located in the City of McDonough, Georgia. 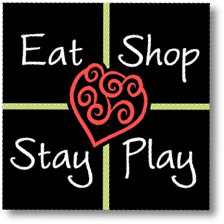 Our goal is to provide a low cost, high value experience for the tourists visiting McDonough, Georgia through the promotion of our culinary arts, business services and administration using our strong public relations, marketing and tourism management skills. Some of our most successful events, Geranium Drop and Geranium Jam, showcase the impact on the tourism industry for McDonough through the combined efforts of McDonough Hospitality & Tourism and other local non-profit organizations and the local business community. Christy, along with the McDonough Hospitality & Tourism Board, extends southern hospitality while promoting and supporting sustainable tourism to the beautiful City of McDonough, Georgia. Christy brings a strong background in advertising, marketing, leadership and community service to McDonough Hospitality and Tourism. She has been involved in many community organizations in Henry and Clayton counties, both as a volunteer and as the sponsorship liaison with the papers. She has been a member of the Henry County Rotary Club. Christy is a familiar face to McDonough as she has lived in Henry County for more than 30 years and been a very active member in the community. Christy and the Board is responsible for coordinating group tours, promoting tourism, and acting as a liaison between the city, it’s attractions, merchants, venues and hotels.